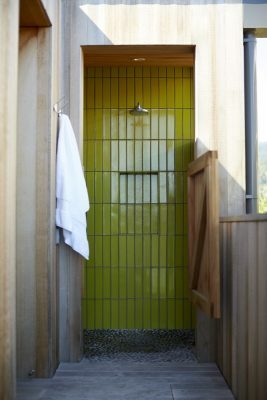 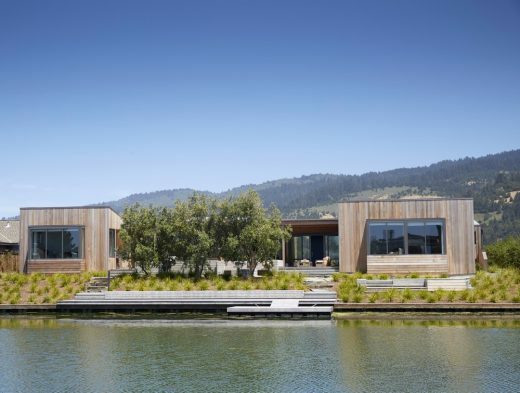 Located in Stinson Beach, the site offers a southern exposure to the Seadrift Lagoon and a view to the north of the Bolinas Lagoon. 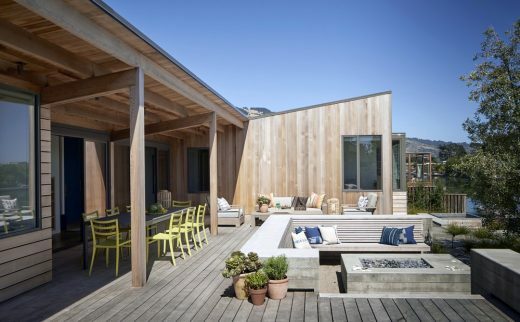 This house creates an indoor / outdoor retreat to share with extended family and friends. 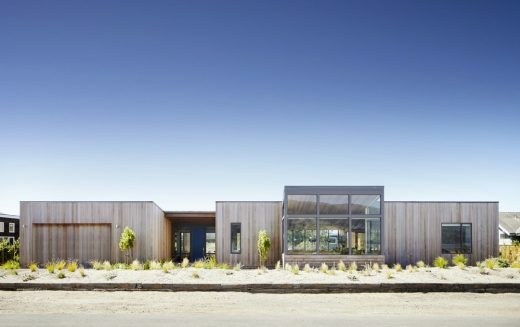 The house forms a courtyard to the south that captures the sun and blocks the wind. 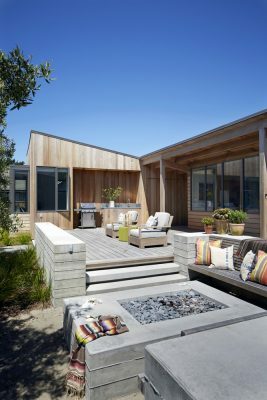 The courtyard also creates privacy for the outdoor deck, fire pit, and hot tub. 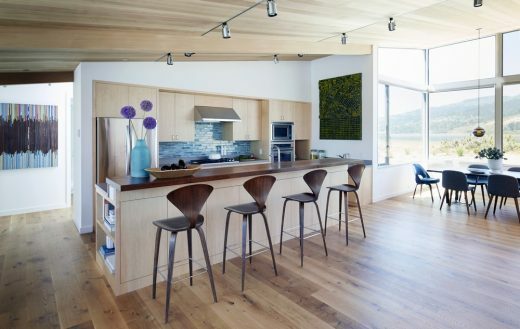 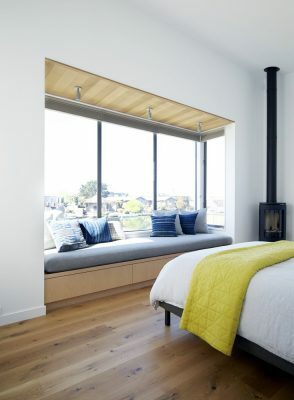 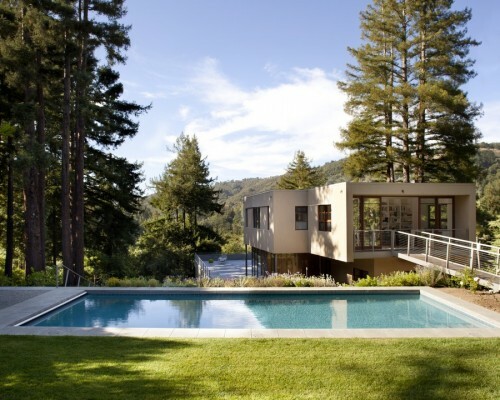 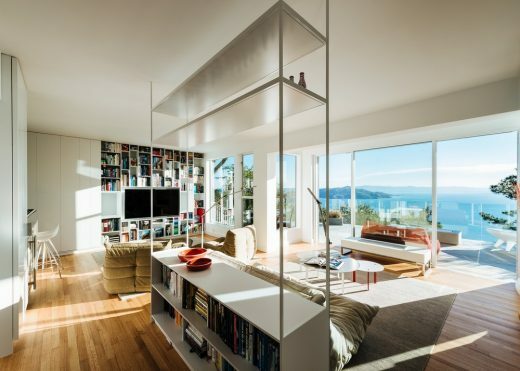 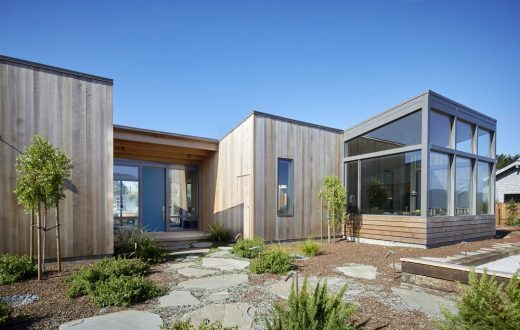 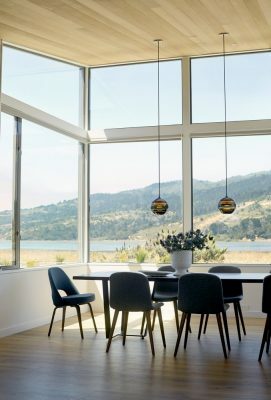 The living spaces open out to the courtyard while an interior dining bay tips up to capture views of the of the Bolinas Lagoon and Marin Hills. 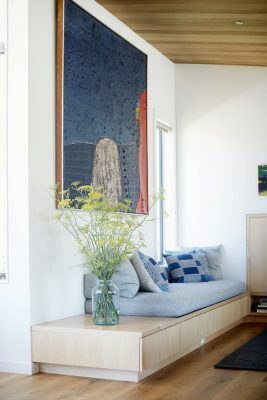 The interior of the house was designed to accommodate the owner’s art collection. 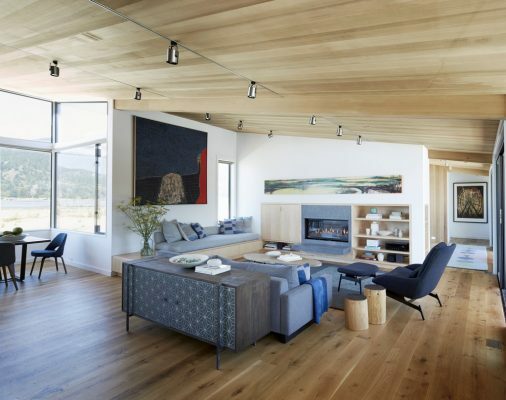 The walls are sheetrock, the ceiling cedar, and the floors a wide board oak. 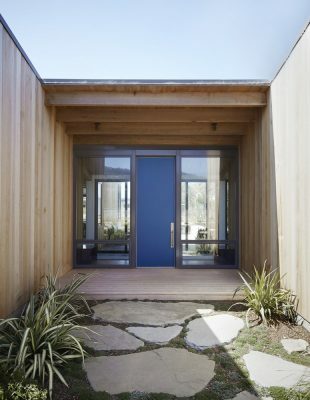 The exterior is vertical board cedar with metal windows and doors. 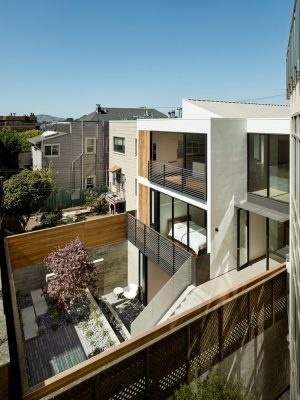 Civil: AYS Engineering Group, Inc.